Interview by Ganiyu Jimoh Ph.D.
Nigerian, Tayo Fatunla, is an icon and an award-winning international cartooning artist. Going recently through a catalogue of ancient African empires at the British Museum, I came across his illustrations of artistic impressions of what transpired in ancient African kingdoms. The illustrative prowess of Fatunla are vivid and enigmatic. Many of Fatunla’s works have been commissioned by great cultural and educational organisations across the globe. Tayo was born in Wimbledon, England in 1961 and has had over three decades of cartooning experience. Having practiced in Nigeria for several years, he went further to study cartooning at the prestigious Kubert Art School in Dover, New Jersey in the early 1980s, becoming their first international student from Africa. Tayo is presently a member of the Cartoonists Association of Nigeria (CARTAN), National Union of Journalists U.K., and Cartoon Arts International. 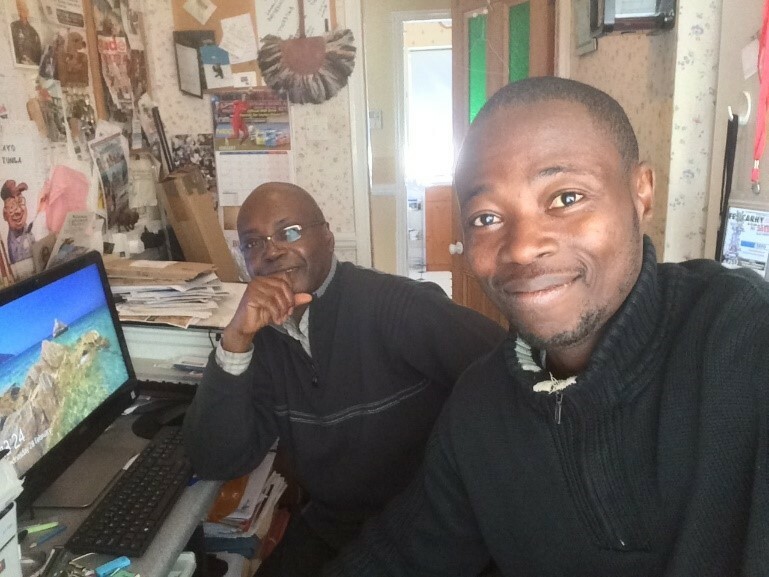 During the snowy meteorological conditions of February 28, 2018, in his studio at Dartford, Kent in England, Tayo spoke with Ganiyu Jimoh Jimga on his background, career, influences, and aspirations for cartooning in Nigeria. Ganiyu Jimoh Jimga: How did you start creating cartoons; what were your motivation and influence? Tayo Fatunla: The journey has been a long, successful and an ongoing one, and I give thanks to my Creator who made me a creator in art as well. Right from when I was young, I knew I wanted draw and become a cartoonist and comic artist; I wanted to be an illustrator as well as I was a fan of British and American comics. It is important to note that if you do not have artistic talent in you, becoming an artist might be a struggle. You must be gifted to be creative and I know that being creative brings out the best of you. I can remember very well that my interest in cartoons began when I was in primary school at Surulere Baptist School, Lagos. My mum was working at the Lagos University Teaching Hospital (LUTH) then. She would buy British comics from the hospital’s bookstore for us to read. Some of the comics then included Buster, Battle, Beano, Tiger, and Roy of the Rovers comics. Later, I came across Marvel superhero comics, the first being the Mighty Thor. It was a pocket book. I was intrigued by the main character flying in the air with a hammer as a weapon. As fate would have it, I was fortunate to be in Art Class in my secondary school, Lagos Baptist Academy. Then, along came my friend, Toyin Akingbule, who was into drawing cartoons as well. In fact, Toyin Akingbule and another schoolmate, Dapo Akintunde were always drawing cars. They have been drawing most of the modern car designs I see today, right from when we were in school. I got better in drawing comics over time. At some point, I would draw comic books and charge my schoolmates a small amount of money to read them. Eventually, I was inspired to join the Punch Newspaper as a cartoonist. Prior to working for the Punch newspapers, I drew for the Daily Times, Daily Express, Lagos Weekend and Evening Times. At the time, I was a great fan of Benbella by David Lasekan, and Moses Osawe’s Pa Johnson cartoon column in the Evening Times. At Punch, I met Dotun Gboyega from whom I took over the drawing of the Omoba back-page cartoon. I also met legendary Kenny Adamson and Femi Jolaoso (now Jolaolu). With these great inspirations around me, I was eager to publish my cartoons as well. I first drew cartoons for a Children’s magazine called Apollo, which was published by the late governor of Ogun State, Olabisi Onabanjo. The opportunity came through being class mate with his son Seyi Onabanjo. This was before he went into politics. At the time, Nigeria was far ahead of other African nations in cartoons and indigenous comics publication. For my first cartoon in Apollo, I was paid 5.00 Naira. It made me feel satisfied getting my work published. It was very encouraging. I then had the urge to do more drawings and my work and I eventually grew in recognition. Ganiyu Jimoh Jimga: How did you come about your unique style of cartooning? Tayo Fatunla: Because of many influences on my works, I struggled to create a unique style for myself. Once people look at your cartoons and they start to compare them with another cartoonist’s style, then it is obvious that you need to be original in your style and technique of drawing. I began to develop my own style of drawing cartoons. I was employed as a full-time cartoonist (you don’t see much of that anymore), drawing the PAGE THREE cartoon column for the Punch newspaper. When Dotun Gboyega left for Concord Newspapers, Managing Editor, Uncle Sam Amuka Pemu, asked me to take over drawing of the Omoba Cartoon column. That was an interesting challenge for me and I lived up to the challenge. After doing that for about two and half years, I decided to attend an art school to study art, formally. Subsequently, I was admitted into the Kubert Art School in New Jersey, United States of America, in the early 1980s. Ganiyu Jimoh Jimga: What was the experience like in the Art School and how did that influence your art? Tayo Fatunla: Awesome! The school was where I learnt basic ways to draw cartoons with better outcomes, using functional styles and techniques. I also learnt from tutors who were professional artists in their own right and who taught at the school. It was at the school I learnt to teach How to Draw cartoons which I have continued to do till today. The skill to teach Drawing Cartoons has allowed me to hold cartoon workshop sessions locally and internationally as far as Nigeria and Ethiopia and Ireland. After my art education in the US, I returned to Nigeria. I was reinvigourated because I had acquired a lot from my studying at the art school in the U.S. Thereafter, I worked for several Nigerian news publications, namely, Concord, Punch and THISWEEK magazine. Working with THISWEEK magazine paved the way for producing my cartoons in colour, as they were always in black and white prior to that time. The magazine rivaled the U.S. based Time magazine in terms of production, contents and quality because it was being printed in London and flown to Nigeria for distribution. Jimga: Can you tell me more about “OUR ROOTS,” the educational cartoon feature? 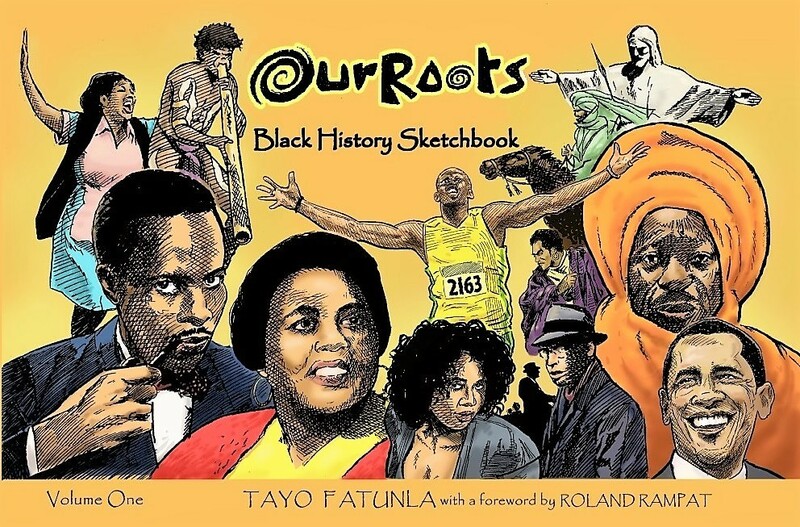 Tayo: The OUR ROOTS project began at the Kubert Art School. It was an end-of-school project preparing students for the real world. Initially, I only drew faces of people in the strip. To syndicate it in the US, Mr. Jerry Robinson, who created the Joker and drew Batman, under his then Cartoonists and Writers syndicate requested that I add more to the strip by having some kind of visual story next to the headshots. So, I did and it made sense. I also had legendary US artists like Joe Kubert (Tarzan and Sgt. Rock artist), and Hy Eisman (Popeye cartoonist) who assisted me while in school and professionally to develop OUR ROOTS and make it what it is today. OUR ROOTS began as AFRICAN SKETCHBOOK because I knew I was going back to Nigeria, and I wanted it published in African publications. It was first published as AFRICAN SKETCHBOOK in Flight Africa magazine in Lagos, but when I came over to the UK, the editor of the Voice newspaper asked if the title could be changed, so that black people, men and women in the diaspora would be recognised as well. That was when I changed the name to OUR ROOTS. And with OUR ROOTS, it made more sense to spotlight black people all around the world, presenting an opportunity to educate people young and old about Black history of sung and unsung heroes. Someone asked if I would run out of Black achievers to draw in the strip, my response was that as long as there is the black race, there will always be black achievers to document. OUR ROOTS is in recognition of contributions of Black people around the world through art journalism to racial understanding. Without Africa, there couldn’t have been OUR ROOTS that paved way for so many similar projects; the British Museum, Spirit of Lagos comic, HOOKED, a digital comic for the BBC, and many more. It was a feature in Nigeria’s Sunday Times newspaper for a while. It has been syndicated in US newspapers and features in New York Amsterdam News, Sacramento Observer, Atlanta Voice and the Chicago Defender. ThisDay newspaper once used OUR ROOTS format as OUR NIGERIA. Many were in need of a similar format like OUR ROOTS. It has been used numerous times to educate people on black history, in schools, libraries, in books and magazines and at events. While comics seem to have a short life-span, educational comics never go into extinction. Jimga: I want you to talk about Cartooning in Nigeria, since as you said earlier, Nigeria was at the fore-front of cartoon publication in Africa, but the state of the art does not reflect that. 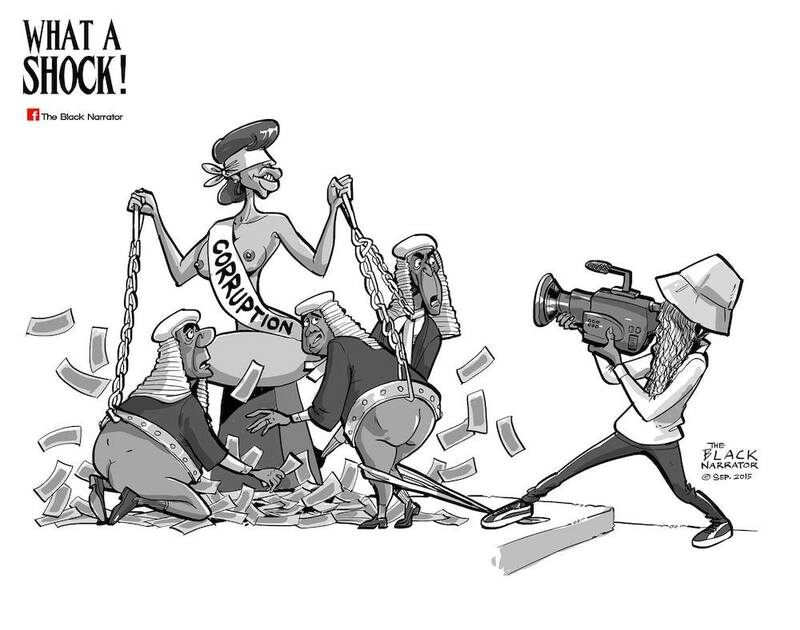 The Cartoonists Association of Nigeria (CARTAN) has recently been resuscitated, and the main aim of the association is to bring Nigerian cartoonists together to form a formidable force against our challenges. 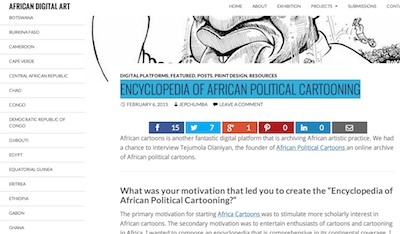 You have experienced cartooning in Nigeria and the Diaspora; what is the way forward? Tayo: Well, I commend you for bringing Cartoonist friends, colleagues, and younger cartoon and comic enthusiasts together, through the social media tool you created. That is very good, and I am also happy that Professor Dele Jegede (Kole the Menace) is part of CARTAN too. I remember that the first ever cartoonists’ gathering I went to in Nigeria was convened by Professor Jegede and was called Cartoon Association of Nigeria (CAN). Given the state of cartooning in Nigeria, more could and should be done. As it is now and though sad to express, apart from a few cartoonists who continue to keep the momentum going, it is not that impressive. 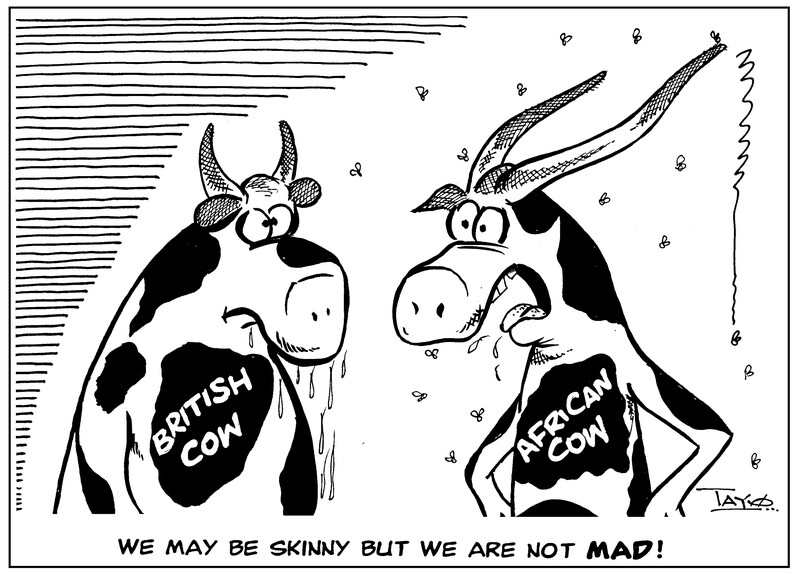 It is sad to note that Nigeria was indeed at the forefront of cartoons in Africa, before the likes of Zapiro (Jonathan Shapiro; South African political cartoonist), Kenya-based Gado (Godfrey Mwampembwa), and Popa, a Tanzanian political cartoonist, came around. Even Gado in one of his interviews, mentioned my name as an inspiring person that he looked up to in terms of cartooning. Today, he is a superb African cartoonist. The state of cartooning in Nigeria now is tainted by politics. It could be much better than what it is. I am so surprised the Omoba comic column does not exist anymore. There could be many reasons for this. Perhaps someone saw no need for the cartoon character or did not have the enthusiasm that Uncle Sam Amuka brought into the Nigerian media with cartoons. There is still hope for cartooning in Nigeria. The media, print and electronic media need to encourage more use of cartoons by Nigerian cartoonists. When I was with the WEST AFRICA magazine here in London, I was contributing to other magazines as well. I would clutch my portfolio with my artworks to deliver to various magazines for use in their publications. Along came technology, and I realized that if I did not move with the times and embrace computer technology and the Internet, I would be left behind. Cartoonists in Nigeria should embrace digital technology and have their works, cartoons, etc., published on the internet as well. If people want you to work for them, the first thing they do is to Google you. If you are nowhere to be found online, they would not want to do business with you. Cartoonists should also have a broader scope. They should address international themes as well, to be able to participate in international cartoon festivals, which bring better exposure. I must say that cartooning is going through hard times globally. What is happening now is that cartooning is evolving from print media to social media and that cannot be stopped. People can now read comics on their various devices. I also feel that Nigerian cartoonists are treading carefully; they want their cartoons published, so they do not wish to upset anyone. They seem not to fully express themselves, holding back their thoughts and that of the masses. 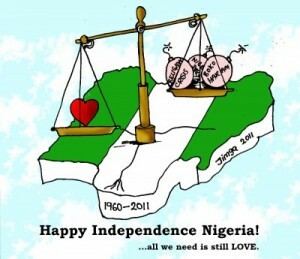 As a result, some cartoons being published in Nigeria today appear to be watered-down and are not bold enough. Nigerian cartoonists cannot be complacent; rather they must strive to improve. To be a cartoonist, someone or someone’s work should inspire you. Jimga: What about our comic books? Tayo: I have seen good comics being produced in Nigeria. It is possible to deviate from using the Marvel and DC Comics’ formats of drawing superheroes. We should not be reading about more superheroes in Africa. There are so many of them in America. I would love to see Nigerian cartoonists create graphical comics about Africa, which include true stories of the past and present. 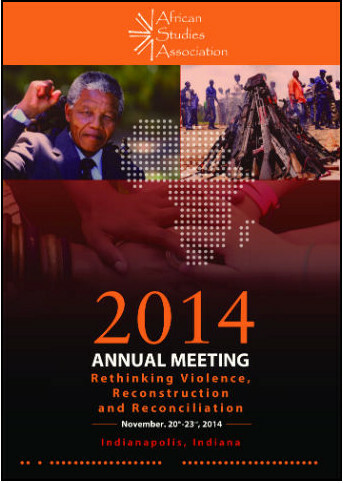 I am aware of one on Nelson Mandela and Patrice Lumumba. Japan has its Manga style of comics selling bucket loads, Africa can have hers. It is getting difficult selling hard copies of comic and they are now becoming easier to read them online and reach a wider audience. Africans are good storytellers and should be able to tell Africa’s various stories and history through visual communication. Ganiyu Jimoh Ph.D. lectures at the Department of Creative Arts, University of Lagos, Nigeria. He is also a Research Associate in the SARChI Chair of the Department of Fine Art, Rhodes University, South Africa. Image from “This Cartoonist is One Dictator’s Nightmare, And He’s in Jail For It” by Dante Besong and Andy Warner from The Nib. 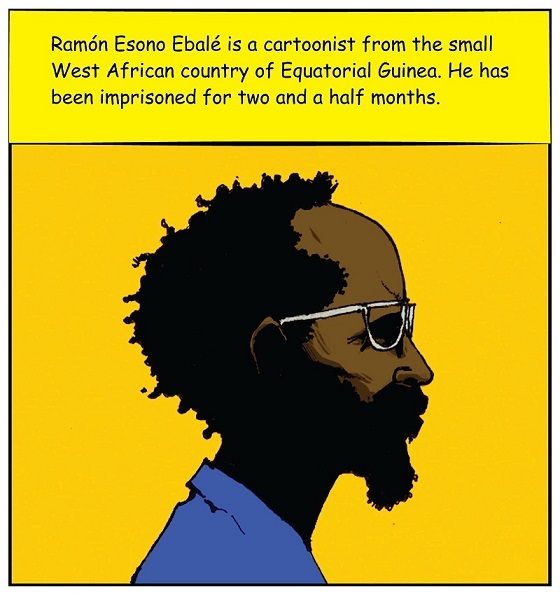 On September 16, 2017, Ramón Nse Esono Ebale was detained without charge and then accused of “money laundering and counterfeiting.” He was targeted by Equatorial Guinea’s secret police for his political cartoons and graphic novel entiteld Obi’s Nightmare, critiquing the leadership of long-time dicator Obian Nguema. Listen to Professor Tejumola Olaniyan on the latest episode of Africa Past & Present, African studies’ pre-eminent podcast. 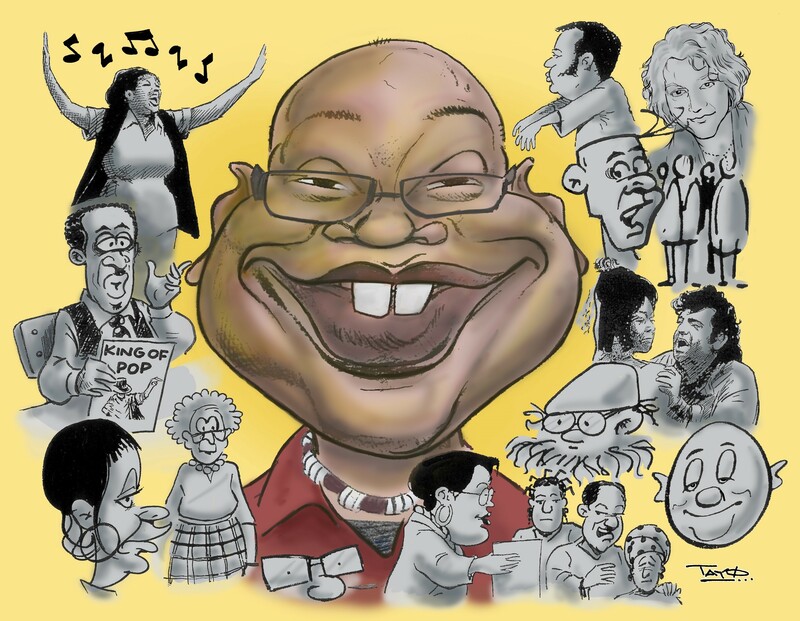 He joins Professor Peter Alegi and Associate Professor Peter Limb to discuss “African cartoonists, their depictions of the body and struggles with censorship… the aesthetics of corpulence in African political cartooning…” and, of course, Africacartoons. On November 14, 2015 Professor Joseph Oduro-Frimpong gave a talk at the University of Wisconsin-Madison entitled “‘What a Shock’: Civic Activism and Resistance in The Black Narrator’s Cartoons.” Oduro-Frimpong completed a PhD in Cultural Anthropology at Southern Illinois University, Carbondale and he is currently an Assistant Professor in the Department for Arts and Sciences at Ashehi University College in Ghana. During his visit to Madison, we had the opportunity to sit down and discuss political cartooning in Ghana and its value to academic and non-academic audiences. The following interview was conducted while Nigerian cartoonist Jimga was visiting the University of Wisconsin-Madison in conjunction with his 2015 exhibition “The Change We Need,” which he displayed at Michigan State University and online at Africa Cartoons. On an October afternoon after Jimga gave a talk on cartoon representations of Boko Haram for Africa @ Noon, Leah, a graduate student in the English department and researcher for Africa Cartoons, talked to Jimga about how he became a cartoonist and why he considers cartoons a powerful medium. They also discussed Jimga’s creative process and why he likes posting his cartoons online. Jimga is both a scholar and an artist, and the interview references a paper Jimgah presented at the University of Lagos Research and Conference Fair in 2011 about a project where he analyzed the comments of cartoons he posted on his Facebook page. You can listen to audio of the interview and read the transcript below. 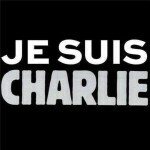 Today, gunmen attacked the offices of the French satirical magazine Charlie Hebdo. Twelve people were killed and several others were injured. The gunmen entered the offices and opened fire during an editorial meeting. 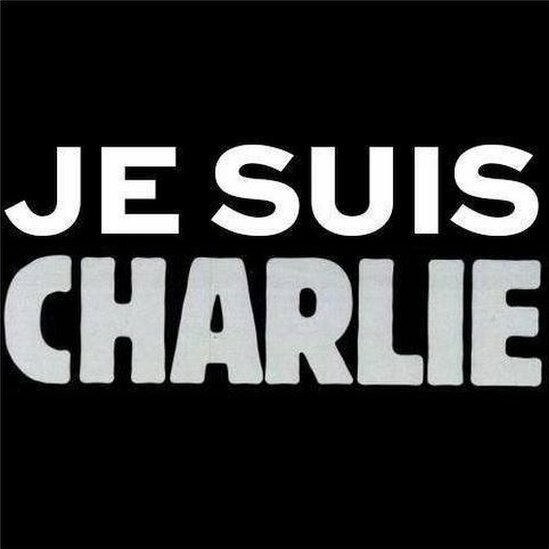 Among those killed were the well-known cartoonists Cabu, Tignous, and Wolinski and the editor Stéphane Charbonnier. This attack has been condemned by French President Hollande as the worst attack in France for decades. The annual African Studies Association conference met last month in Indianapolis and among its numerous, fascinating sessions was one dedicated to cartooning in Africa. Presenting in the session were, Dr. Baba Jallow from Creighton University, Dr. Alexie Tcheuyap from the University of Toronto, Dr. Tejumola Olaniyan from the University of Wisconsin-Madison, and Dr. Paula Callus from Bournemouth University. Each panel member presented on various aspects of political cartooning and animation from Africa, the following is a brief synopsis on the papers presented. 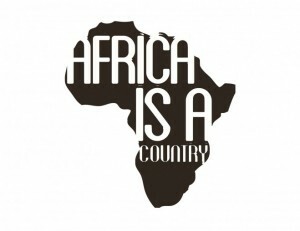 Africa is a Country is doing an on-going series on African digital archives and recently stumbled upon AfricaCartoons.com. Read the excellent review by Liz Timbs here. 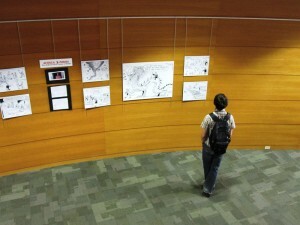 UW-Madison Libraries News and Events covers the AfricaCartoons exhibit, “Africa & China: the Political Cartoons of Gado,” which will be up in Memorial Library through the month of May.